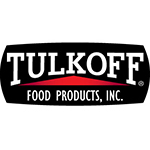 Tulkoff | Favorite Foods, Inc.
Co-Pack Products: Considered one of the largest condiment and specialty sauce co-packers, Tulkoff manufactures products to a wide variety of national brands nationwide. We work with our customers from development, sourcing ingredients & packaging, to production and assistance with distribution. Minimums do apply. Private Label Products: All of Tulkoff’s products are available for private label and in a variety of pack sizes. Our solutions based process combines not only the freshest and highest quality ingredients, but also a blend of food science, culinary technology and innovation. Minimums do apply. Food Service Products: Our food service line is known nationwide by experienced chefs looking for full flavored products. We share their passion to inspire by creating remarkable flavor with quality safe items. Our product line is designed based on consistent products and flavor, but also to promote efficiency and the convenience of easy to use packaging. Industrial Products: We manufacture superior quality ingredients so our customers can develop their very best products. Our industrial product segment offers core ingredients to major national and international chain restaurants, food service distributors and food manufacturers across the world. Retail Products: Tulkoff’s retail line stretches back to the 1920’s when our founders bottled and sold horseradish at a farmer’s market. Grocery consumers of our products can continue to enjoy the same level of quality products as they did 80 years ago.